No doubt, shoes can make or break an outfit. For many of us, flats are not at the top of the list when it comes to choosing shoes to complete an outfit. But, in 2019, flats are making a comeback. And, they are fancier and more colorful than ever. If you’re a flat lover, you may rejoice now. If you’re not, you might be swayed by the fancy flats trend. 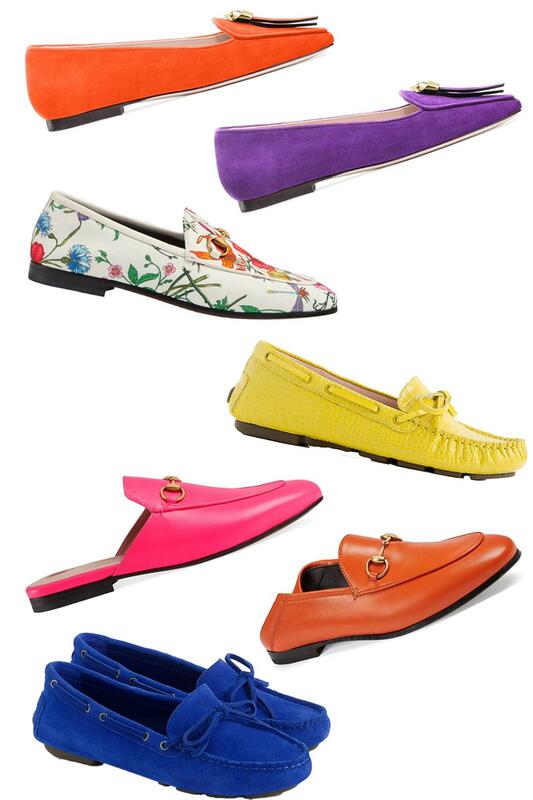 I’ve had the Stuart Weiztman (orange and purple pairs below) flats on my wish-list for a minute. They’re now 60% off. I’m thinking I should get them now to get in the fancy flats trends. My only struggle will be deciding on a color.